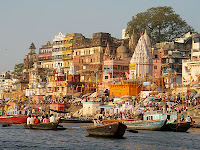 Varanasi was known as Kashi Kshetra in the Rigvedic texts. Since the ages it has been regarded as one of the important Pilgrimage centers for Hindus, Jains and Buddhists. The place was formed into an independent city during 18th century. The earliest mention of the city could be found in Rigveda. Then the great epics of India (The Ramayana and The Mahabharata) talk about this place. Buddha gave his sermon at Saranath which is just 10 m away from Varanasi. The 23rd Tirthankara of Jainism (Parsvanatha) was born here. 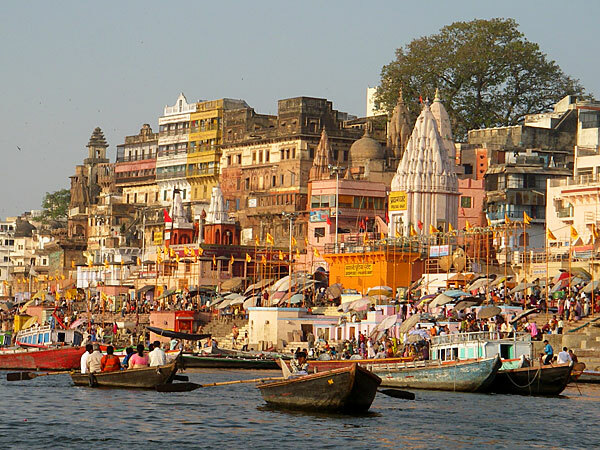 From 11th to 17th century Varanasi was under the capture of the Muslim rulers. The city saw a setback during this time due to the invaders. Kingdom of Kashi was established during 18th century. Under the British rule Varanasi was made a separate State in 1910, making Ramanagar its headquarters. The Kashi Naresh is a title of honor bestowed upon the king. Kashi Naresh is the supreme power concerning ritualistic activities there. He stays in Ramanagar fort. The then Kashi Naresh raja Balwant Singh built this fort. After Independence, Varanasi merged with the Indian Union.